On the choice to discuss Russia and the after effects of World War I. A review of the prophetic life and works of Alexandr Solzhenitsyn. After the fall of communism, the Russian Orthodox Church is enjoying a surprising, albeit troubled, resurgence. What is he relationship between Dostoevsky's writings and the message of Fatima? A historical survey of Catholicism in Russia, including the establishment of the Russian Greek Catholic Church. What impact did World War I have on the United States and the West as a whole? A reflection on the transformative effects of World War I on American life and culture. Is the use of Latin in the Roman Rite an archaic nod to the past or does it carry a larger importance? A new translation of Pius XII's letter on the state of Russia and Russian Christianity after the rise of communism. 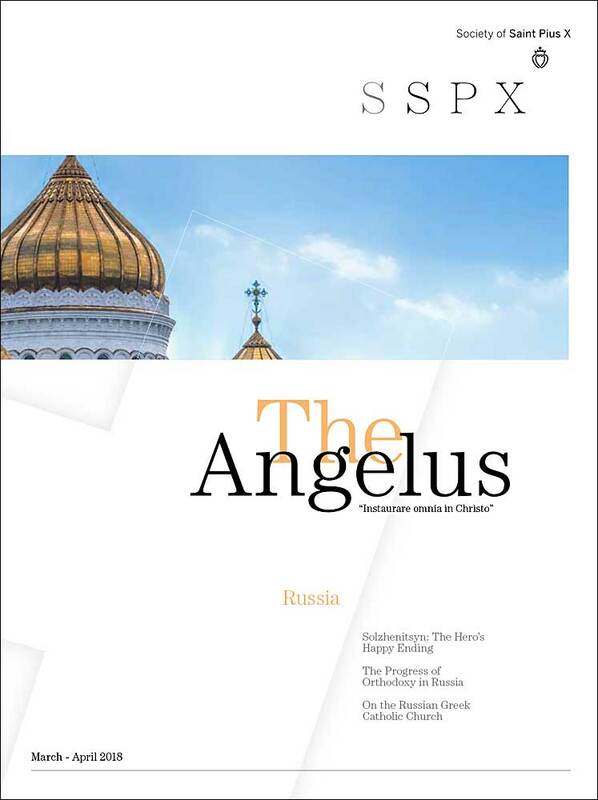 A review of the Society of Saint Pius X's emerging apostolate in Russia. On the capacity of Christianity to transcend earthly conflict. What is so unique about sacred art and its place in ecclesiastical history? A critical examination of the use and abuse of Russian Orthodox theology in the West during the 20th Century. Why is punishment important at school and what should parents think about it? Answers on the pursuit of holiness, the need for spiritual direction, and whether or not we should reveal secrets. Part 1 of a theological study on the remarkable consistency of Archbishop Marvel Lefebvre's stance toward Rome. On the sacrifice of two saints during the era of World War I.